Every carpet has a pile direction. That is the direction in which the fibers of the carpet run. Reverse pile occurs when there is a section of the carpet in which the direction of the pile runs the opposite way – i.e., is reversed. The direction of the pile is most noticeable in medium-length Saxony styles and is less noticeable in longer piles such as friezes. When the pile is reversed in a cut pile carpet (such as a Saxony), the light is reflected off the fibers in a different manner, and thus the color of the carpet appears different, either lighter or darker than the original color. This effect can often be noticed simply by looking at your carpet from opposite sides of the room. Look at your carpet from one end of the room, then walk to the other end and turn around, and look back at the carpet. You may notice that it appears darker in one direction than the other. Sometimes, in cases where the pile has reversed apparently randomly on a piece of carpet (more on that in a minute), the section of carpet where the pile has reversed can look wet. This is known as watermarking, pooling or puddling because the carpet literally looks like it has water on it. Most commonly, reverse pile is the result of poor installation. 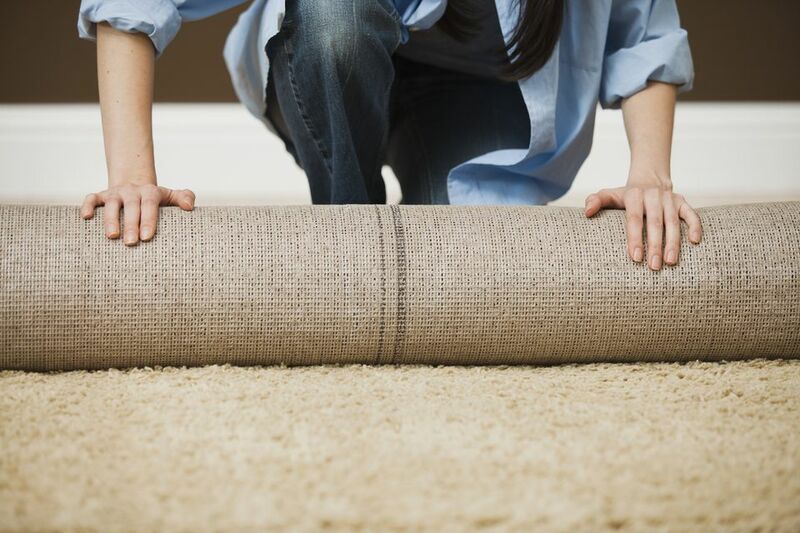 If two pieces of carpet need to be seamed together in a room, the installer must ensure that the direction of the pile is consistent in both pieces. Otherwise, when the two pieces are joined they can actually look like two different carpets. Less often, the pile can actually change direction on a single piece of carpet. This is somewhat of a phenomenon that has yet to be completely explained in the industry. Sometimes, it is evident that the pile direction shifts in the direction of foot traffic. Other times, though, it has no apparent cause. In rare instances, the carpet comes straight from the manufacturer with the pile reversed on part of the roll. Unfortunately, reverse pile is not considered by carpet manufacturers to be a defect and therefore is not covered by warranty. The phenomenon of carpet reversing pile in a specific area is known as pooling. There is no identified cause for pooling. Typically, pooling occurs in a carpet that previously had no issue with pile direction or shading. To increase the confusion surrounding the issue, if a carpet that has experienced pooling is removed and replaced with another carpet, the pooling often reoccurs in the same area. This leads to the conclusion that in these cases, the issue is caused by something in the surrounding environment. The cause, though, has yet to be determined. As mentioned above, mid-length Saxonies tend to highlight reverse pile more than other styles of carpet. Higher-density Saxonies tend to show pooling more than Saxonies with a lower face weight. To minimize the appearance of reverse pile, especially in areas where pooling has previously occurred, low-profile carpets in either cut pile or looped (berber) styles are the best options. What Carpets Won't Show Footprints?